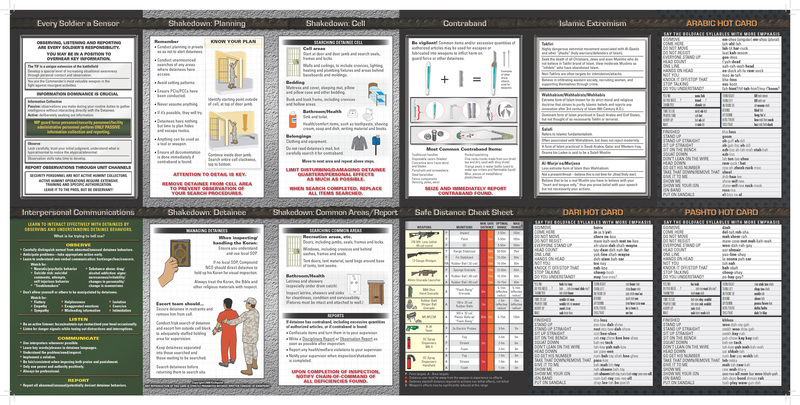 The First Army Detainee Ops Smart Card is a quick-reference card that reinforces critical operations training for personnel that are deploying for MP guard force duty at military detention facilities. 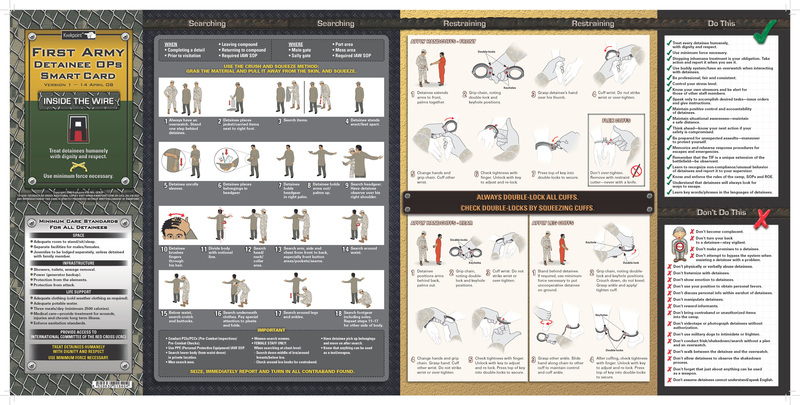 Contains essential training reminders, visual language panels that illustrate detainee Searching and Restraining techniques, Language Hot Card panels in Arabic, Pashto and Dari, cell shakedown planning and procedures, Contraband awareness, cultural sensitivity and situational awareness reminders, and more. Developed in close consultation with experienced military trainers and advisors. Sale restricted to US Military personnel only, please contact our sales staff to order.